Rent chateaux in Saint-Pierre-d'Albigny, France with private pools. 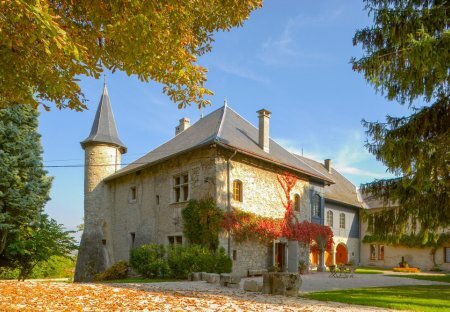 One of Europe's oldest renovated chateaux is available for your family holiday or reunion. Chateau St. Genevieve located in the Savoie region of France is at the base of the French Alps.